We're starting our trip in Russia's capital city, Moscow. 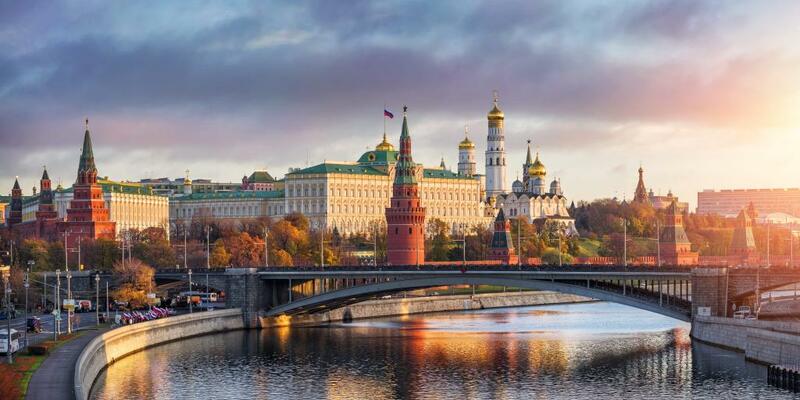 Home to one tenth of the county's population, it's the political and financial centre of the country; we suggest you catch an early flight in and spend the first few days finding your feet here before we begin our road trip around Russia's Golden Ring. We'd recommend that you make this journey during the summer months, before the snow starts setting in and the temperatures drop below zero. Not only will this make the driving easier, but you'll also find that many of the attractions on the Golden Ring are fully or at least partially closed during the winter. Booking your hire car online ahead of time is always a good idea, but you'll still be able to sort it out when you get to Moscow thanks to the multiple major international rental companies represented at the city's three main airports, Sheremetyevo (SVO), Domodedovo (DME) and Vnukovo (VKO). 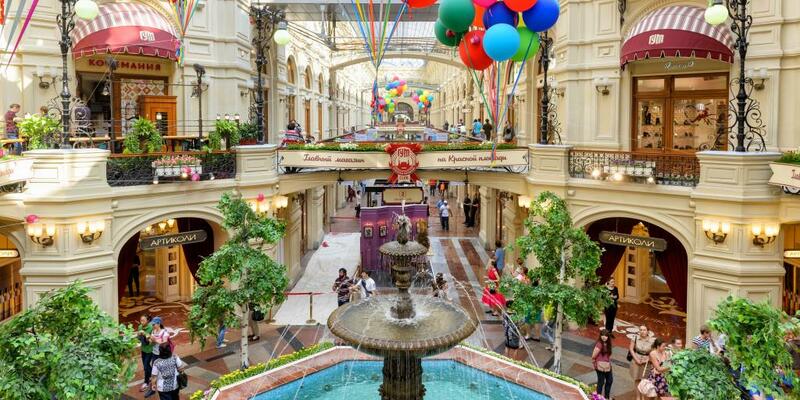 Moscow also has numerous city-centre car hire venues and an extensive public transport system, so you could also save some money by waiting until the end of the second day to collect your vehicle. A ticket for the Aeroexpress train, which runs from any of the aforementioned airports directly into the city centre, will only set you back about ₽500 (£6). 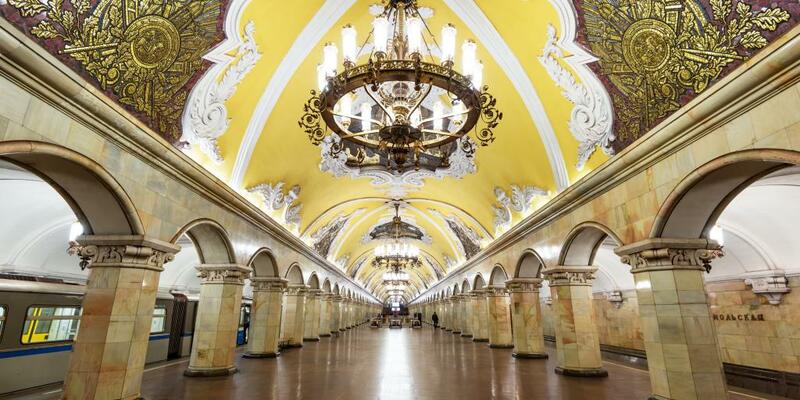 Whatever you do, make sure you take a ride on the Moscow metro at some point to see some of its incredibly ornate stations; our favourites are Komsomolskaya station (Circle Line), which is reminiscent of a luxe ballroom, and Slavyansky Bulvar station (Blue Line), which looks almost like it could have been inspired by Alice in Wonderland. Once you've checked into your hotel, there's no time to be lost in exploring and the first stop on any Moscow itinerary has got to be the Red Square. As well as being at the heart of Russian political life, thanks to the fact that it's home to the Kremlin and the Lenin Mausoleum, it also boasts some of the country's most important cultural sights. To be honest, it's not hard to spend an entire day in just this area. So, what's worth seeing? We should probably disclose right now that if you're going to take a Golden Ring road trip then you should probably like churches, or at the very least, like seeing them. Fortunately, Russia keeps things interesting by doing churches like Rio does festivals - big, flamboyant and with a whole lot of gold. 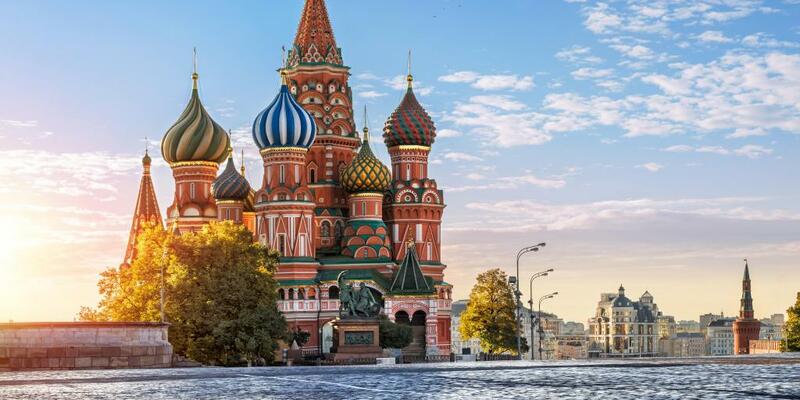 With its red brickwork, ice-cream shaped domes and patterned turrets, the iconic St Basil's Cathedral is the proverbial poster-boy of Russian churches. Often mistaken for part of the Kremlin, it was first constructed way back in the mid-1500s and is considered one of the masterpieces of Russian Orthodox art. Its interior, which now houses a museum, is as colourful as its famous exterior, although to be honest it just doesn't have quite the same magic. Get your obligatory snap in front of St Basil's - extra points if it's complete with Russian hat - and nip inside if you have the time. As the leader of the Russian Revolution, Vladimir Ilych Lenin has long been a much venerated figure in Russian society; when he died in 1924, the Russian public demanded that he be preserved for future generations. So, despite the man himself requesting in his will that he be buried, he now lies in a purpose-built pyramid on the Red Square, with an estimated two and a half million people visiting him every year. Believe it or not, it's less a macabre experience than it sounds. Close to 100 years after his death, his body is still so well-preserved that there's actually a debate about whether it's even really him, or simply a waxwork replacement. Top tip: The mausoleum is only open to the public from 10.00 - 13.00 and queues can be long, so get there early. It's closed on Mondays and Fridays. If there's a building that doesn't get enough attention on Moscow's Red Square, then the State Historical Museum has got to be it. More akin to a red-brick cathedral than a national museum, it's a bit like an anti-Guggenheim but in the best possible way. Inside it doesn't disappoint either, mapping out the history of Russian civilisation from ancient times to the modern day. It's particularly worth taking the time to visit this museum as it provides a useful contextual background for some of the other places you'll see throughout the trip. Annoyingly, there's very little information in English so you'll need to hire an audio guide or a real tour guide to make the most of it. 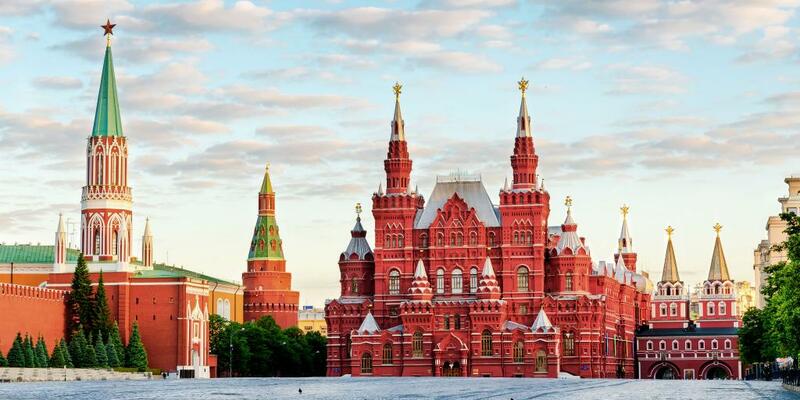 Sitting on the west side of the Red Square, the Moscow Kremlin is a fortified complex best known for being the centre of the Russian Government, with the Grand Kremlin Palace being the official residence of the Russian President. 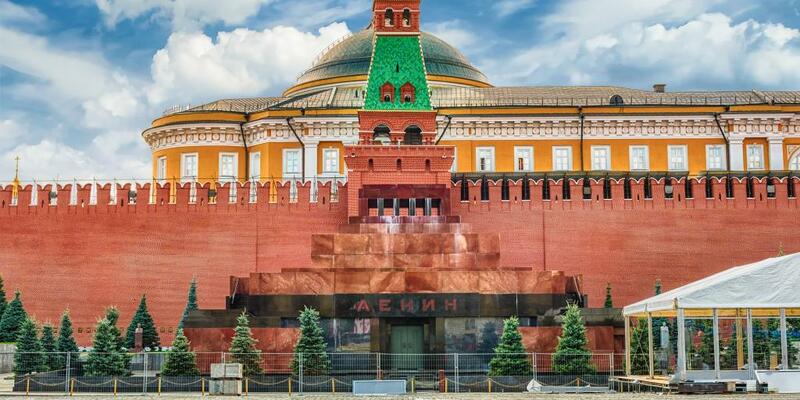 Although you can't go inside Putin's pad unless pre-booked with a registered (and rather expensive) tour company, entry to the Moscow Kremlin Museums includes five church-museums and the Patriarch's Palace. Do note, however that it doesn't include The Armoury or the Diamond Fund, which houses the jaw-dropping Russian jewel collection. If you do include these additional sights then you'll probably need about four hours to see it all, so expect to spend the majority of the afternoon here. After your day of exploring the sights of the Red Square, take a wander through the neighbourhood in which it resides, Kitay-gorod, which is the city's ancient merchant quarter. This district is jam packed with churches, intricate architecture and shops; don't forget to look up as you wander round, because while some of the store fronts on the ground floors may be uninspiring, many of the buildings are works of art in themselves. There are also tons of restaurants and cafes in this area, so plenty of options for dinner. Hopefully you've got some energy left after your long day, because a big night out in Moscow is an opportunity that shouldn't be scoffed at. As you're going to make an early start from the city in a couple of days, and Russia has a low drink drive limit, tonight is the night. With plenty of bars and clubs, and many restaurants also doubling up as party joints, there's something out there for every taste and budget. For a low-key beer, the slightly grubby brewhouse Sosna I Lipa is a great choice; those looking for a bigger night out should check out the swanky rooftop club Kyrsha Mira, which is open until 8am. If you're hoping to visit one of the more elite establishments then be prepared to fall victim to the 'face policy' - if you're hot, well-dressed and look like you've got dosh to spend, you'll get in; if not, you're staying outside. Think of it like Tinder, but you're standing right next to the person that swipes left on you. One of the best parts of travelling is getting to try all kinds of local foods, so start the day by soaking up your vodka hangover with a traditional Russian breakfast. On the surface of things, it's probably not actually all that different from your bog-standard weekday breakfast at home, with porridge, bread, eggs and pancakes all popular. However, there's likely to be a Russian twist on these dishes - definitely try kasha, a grainy porridge that's regarded as a Russian soul food staple. While it can be flavoured with anything you fancy, it's most frequently served with sugar, jam... or onions. All fuelled up? It's time to head off to the first stop of the day. 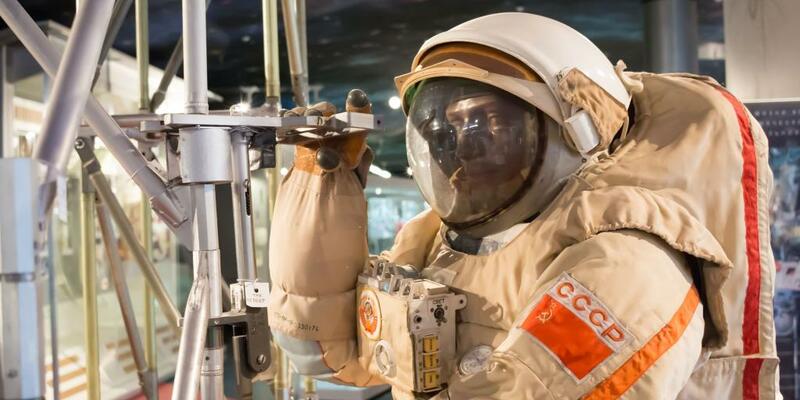 Many would say that if you're going to visit any museum in Moscow it should be the Tretyakov art gallery, but we'd actually say that the Museum of Cosmonautics should still be high, if not higher, up your list. Taking you back to the space races of the 20th century and offering a fascinating insight into the inner workings of Russian space programmes, its exhibits include everything from astronauts' suits to robotic moon rovers, and it even lets you step inside the space station. Although located a little way out of the city centre, it's worth the trek out and handily linked directly to the metro by the pedestrianised Cosmonauts Alley, which is lined with sculptures of the great and good of the Soviet space world. You'll already know that Russia in the winter is bitterly cold, so it only makes sense that once in a while you're going to need something to warm your bones. And for once, we don't mean vodka… yet. No, this time we're talking about the banya, the bath house. Although you'll find these all over Russia, our recommendation would be the Sanduny Bath House in downtown Moscow, which claims to be the nation's oldest. You're more likely to find fellow confused-looking non-Russian clients here than in other banyas too - it's always nice not to be the only one, right? You go in starkers - trust us, you'll get used to it - so they're separated by gender, with multiple baths for men and women. Rather than 'baths', they're actually steam rooms, so prepare to sweat your no-longer-there socks off. Entry only includes admission, for which you choose from different tiers of package. Additional services are available including a beauty lounge, massages and the one you should really try, getting beaten with birch branches, which is said to improve circulation. 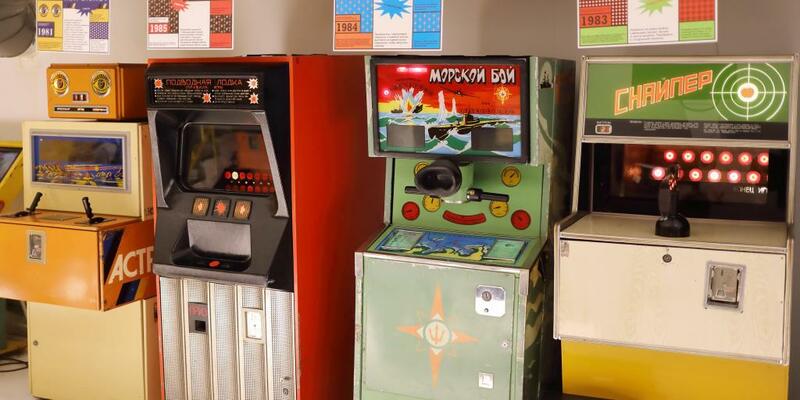 Stuffed with 1970s & 1980s arcade games from USSR and open until 9pm every day, the Museum of Soviet Arcade Machines is ideal for a little pre-dinner time travelling. The ultimate chance to unleash your inner child, it contains more than 50 machines including ice hockey, driving challenges, basketball and an old-school style photo booth. If you're old enough to remember the arcades of yesteryear, you're sure to enjoy seeing how different-but-not-that-different childhood was behind the Iron Curtain. There's no need to carry change as tokens - actually old Soviet coins - are included in your entrance ticket. When you're done beating your friends, go full-on 80s and grab a milkshake and a burger from the connected restaurant. Please note: that we take no responsibility for friendships ruined by competitiveness. No visit to Moscow would be complete without a night at the world-famous Bolshoi Theatre, which hosts ballet, opera and classical music performances in a building so grand it seems more befitting to a palace. With constantly changing but consistently fantastic shows on offer, you'll almost certainly find yourself watching a production that even those without a clue about the arts will appreciate as enthralling. This is your chance to spend an evening feeling all fancy - no ball gowns or tiaras required - before road trip life really kicks in. If you want to go all out, book into a gold-gilded balcony box. Top tip: Seats regularly sell out ahead of time, so if you want to visit the Bolshoi Theatre then you need to book tickets in advance, the sooner the better. Even with the surface of marvellous Moscow only just scratched, it's time to get driving on this Golden Ring road trip; today, we'll be heading up to Pereslavl Zalessky via Sergiev Posad. 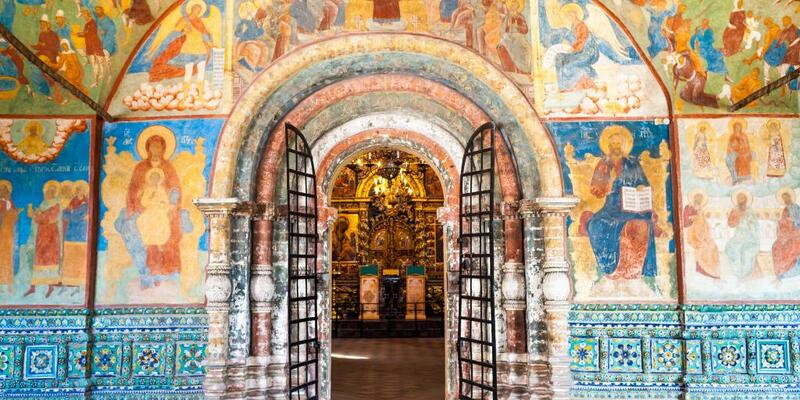 A small city with a big cultural presence, Sergiev Posad is the only one within the Moscow region that's included on this circuit - and it more than earns its place. As long as the traffic plays ball, it should take less than two hours to reach this first stop. Before we set off, there are a couple of things it might be useful to know about Russian driving styles. The first, is that you should put aside everything you're used to and accept that speed limits, giving way and indicators seem more or less optional here, especially outside of the cities. Embrace it. The second, is that you're probably about to get stuck in traffic. 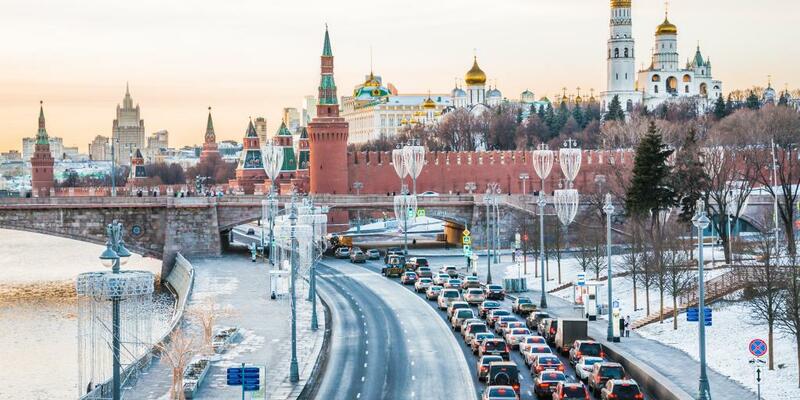 Having recently been named the second worst city in the world for traffic congestion (Los Angeles just pipped it to the post), it's safe to say that you can expect to be caught up in a jam or two while trying to make your escape from Moscow. Unfortunately, for this we can't advise much more than get an early start - rush hour normally kicks in from about 7.30am - so that you can try to skip the worst of it. Don't be fooled into thinking it'll be any better on a weekend, because that's when the city slickers escape to the countryside. Top tip: Being stationary is more fun when you've got car snacks, so grab some sushki before you leave; hard, bite-size bagels, they can be had in different flavours including vanilla, poppy seed, and mustard. The jewel in the crown of Sergiev Posad is Trinity Lavra of St. Sergius, a monastery that's the spiritual home of the Russian Orthodox Church. First founded in 1337, it is today home to more than 300 monks and considered to be one of the country's most important religious sites, as well as being a UNESCO World Heritage Site. Admittedly, you would never be able to see it all in one day as it's made up of more than 50 different edifices, each with their own style and structure, that have been added and altered throughout the ages. Nonetheless, it's worth a visit just for the blue and gold domed Cathedral of the Assumption, whose fairly reserved exterior gives way to a jaw-dropping interior. Top tip: Parking isn't great here and generally reserved for tourist buses, but there is free parking to be found near the Hotel Optimalniy, about a 10 minute walk away. In an equally pride-inducing - but not exactly well-matched - claim to fame, Sergiev Posad has also historically been considered the country's toy capital; it was here that matryoshka (Russian nesting dolls) were produced before the Russian Revolution. The city's Toy Museum honours this past with a collection of Russian toys of times gone by, as well as from around the world, with a particular focus on the craft element. Located along the walk back to town from the monastery, it's not exactly going to be winning any awards anytime soon but still, it's worth a quick stop if you've got the time to spare. Before you get moving again it makes sense to grab some food, and for a cheap and cheerful lunch with the locals we recommend heading over to Lagmannaya restaurant. How to find it? Just look for the huge bright pink house with a giant teapot in the garden, obviously. Once you're all topped up, it's time to get back on the road. Home for the night is the city of Pereslavl-Zalessky, about an hour or so further north. 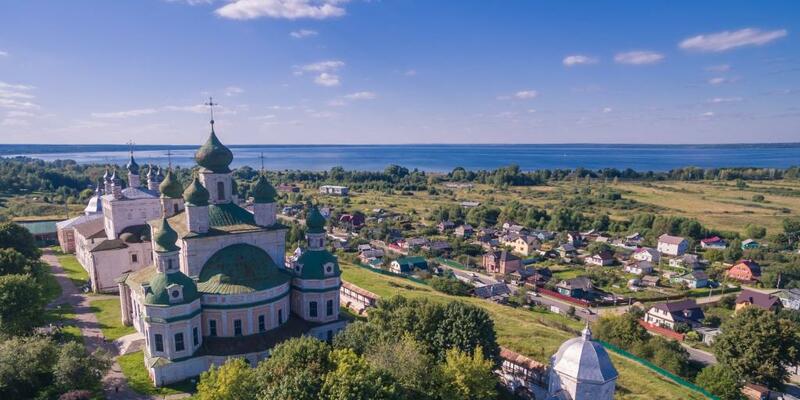 Sitting on the shores of Lake Pleshcheyevo, it's where Peter the Great built his first flotilla (a precursor to the Russian fleet) and has a number of historical attractions including cathedrals and monasteries. Aside from all of that, it's also the undisputed King of weird museums. While not exactly huge, the city's main attractions are quite spread out so it is worth keeping the car with you once you have checked in to your hotel. After spending the morning at Trinity Lavra of St Sergius, you may feel like you've had your fill of monasteries for the day. However, this one is a totally different experience. Although its green domes and castle-like appearance have come to visually represent the city, its murky once-whitewashed walls give it a considerably less opulent feel and with fewer tourists, the atmosphere is quieter and more tranquil. 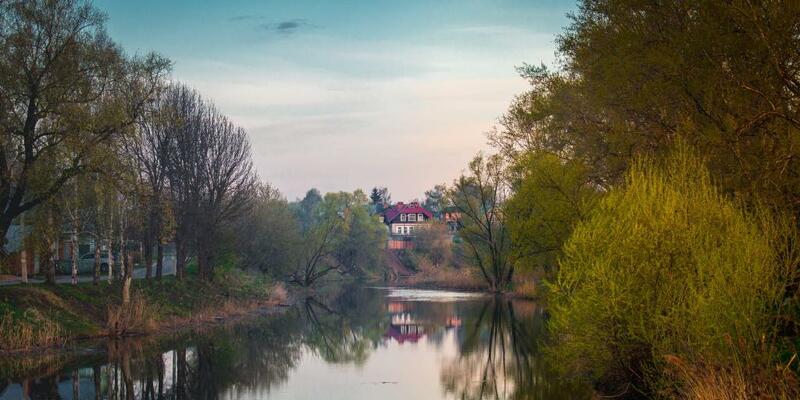 Once you're done with the monastery (don't forget to climb the bell tower) take a wander around the Pereslavl-Zalessky Historical, Architectural and Art Museum, which is housed in one of its former buildings, and contains a great collection of art and sculptures. 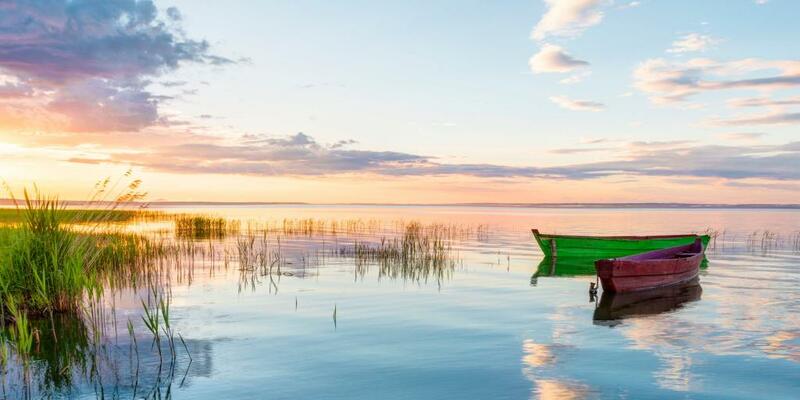 Before the day is done, take a drive down to the shores of Lake Pleshcheyevo and clear your city-dusted lungs out with a dose of fresh air. In the summer there is kayaking and camping available on the lake, but other than that, there's not actually a lot to do but to stretch your legs and enjoy the views - and that's precisely the beauty of it. Grab a bench, watch the sunset and feel a million miles away from the usual 9-to-5. It's got to be said that some of Pereslavl-Zalessky's other offerings are errrr… quirky, and the city's museums seem to have an odd preoccupation with displaying just one type of item. If this does sound up your street though, your options include sewing machines, kettles, irons and teapots. Similarly, if you were wondering about the nation's inventors, then check out the Museum of What Russians Have Discovered where you can guess what it was from the pictures (sorry, there's no information in English). If that's not your thing, then there's always the Museum of Cunning and Ingenuity to entertain you. 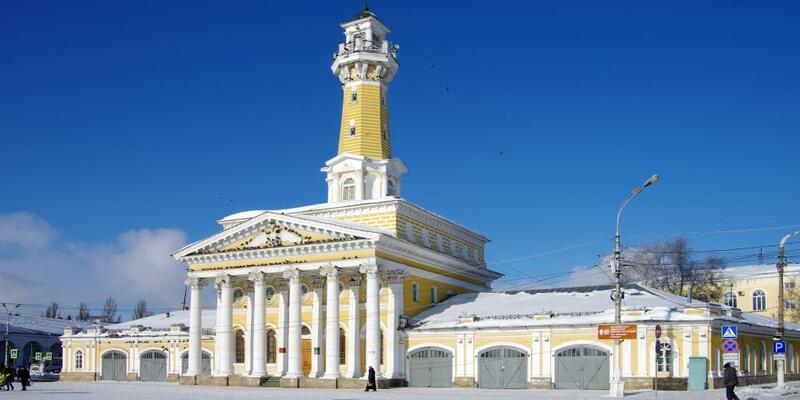 There are various routes that you could take on the journey between Pereslavl-Zalessky and Uglich, but the one that we would recommend travels via another Golden Ring town, Rostov Veliky. To be honest, the town itself isn't really all that much to write home about, hence why it's worth making this a pit stop rather than an overnight call. Of all of the places to get out and stretch your legs though, we could think of much worse. Its official name is actually simply Rostov - the Veliky was added colloquially by locals to distinguish it from a similar sounding city - so when you're tapping into your Sat Nav be careful not to accidentally link it to Rostov-on-Don, much further south. Your estimated journey time should be around an hour, not 14. Well, this is the Golden Ring, so we'll give you three guesses - yes, it includes a Kremlin, and plenty of monasteries, churches and cathedrals. Rostov Veliky's Kremlin is one of the country's most fairytale-esque examples, with its round towers and its silver domes, as well as boasting an unusual honeycomb-like church. There's also a slightly weird but super cute Museum of Frog Princesses, devoted to frog-centric Russian children's stories. Again, all of the signs are in Russian so you don't really end up learning that much, but it doesn't really matter in this case as the staff are friendly and the exhibits fun to look at. As we said, Rostov Veliky isn't the most hip and happening of towns, but it still has some decent eats. When you're feeling peckish, Alyosha Popovich is a lovely establishment (with a fun-to-say name) which serves up cheese dumplings to die for and a range of delicious teas. It's also a superb place to try blini, Russian pancakes that are slightly more dense than crepes and can be served either sweet or savoury. Before you leave for Uglich, have a quick glance down at your petrol gauge because although it is only an hour's drive, gas stations are few and far between along the way. As a rule, make sure you have cash with you rather than relying on cards. 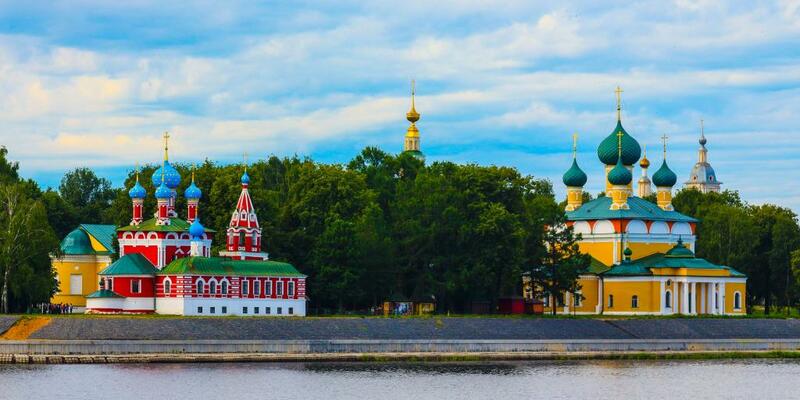 Not initially considered one of the 'big' towns on the Golden Ring, over the past few years Uglich has increasingly become a mainstay of the circuit. 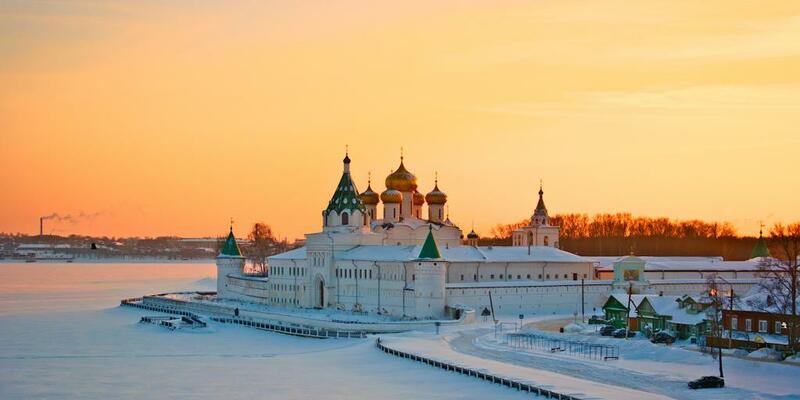 Its colourful Kremlin, which is perched on a bend on the Volga River, comes with a bloody history and has played a big part in this growth. 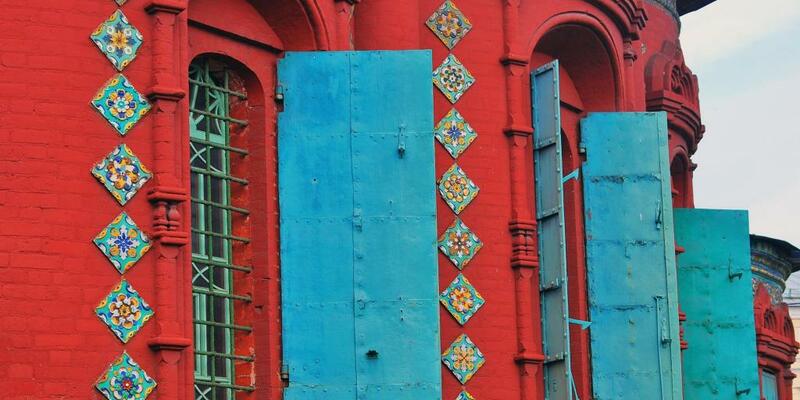 However, there's a lot more to Uglich than just beautiful old buildings. The majority of the city's most important sites are located within easy walking distance of each other, so ditch the car at your hotel and explore on foot. Run by a couple who spent years studying Russian mythology, the Museum of Myths and Superstitions will bring you face to face with some of the most ghastly and enduring figures of the country's folklore. With vampires, goblins and deformed old ladies all presented in the semi-darkness, it makes for a refreshing change from all the high-culture elements of the trip so far. Like most museums on this tour, there's not much in the way of English language signs, but even if you don't go for the content, go for absurdly weird waxworks - they're really quite something. By late afternoon and after a long hard day of driving - yes, three hours counts as long when you're on holiday - it's only right that the driver gets to reward themselves with little tipple. In Russia there can only be one thing for it: vodka. 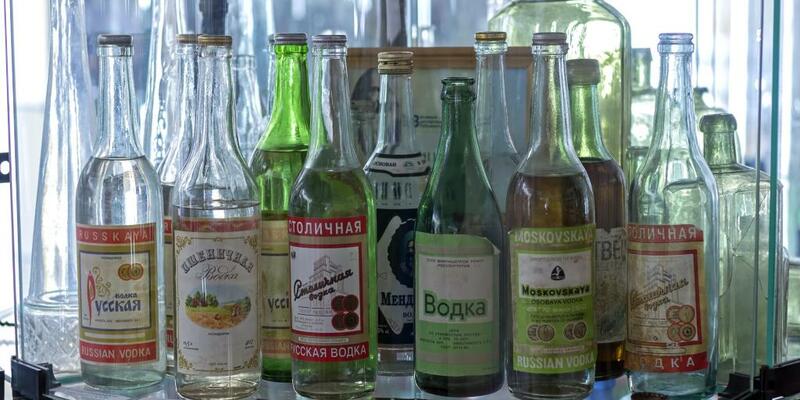 Although small, the Russian Vodka Museum's collection of bottles runs into the thousands, drawn from 96 different factories. Unfortunately, the large majority of them are now empty (boo) but your entrance feel does include a vodka-tasting session (yay). If there's something that particularly pleases your palate, there's also a gift shop carrying a selection of vodkas and liquors. Alternatively, if you fancy another little side trip you could carry on to the waterside town of Myshkin, about 40 minutes away. Here, you'll find more detailed facades, beautiful but now-abandoned houses, and a museum dedicated to Soviet cars, among other things. If you're really lucky, you'll get there in time to visit the oddest museum so far - one dedicated entirely to mice. No, not Mickey Mouse - actual mice. As the capital of the Yaroslavl region, the dome-heavy city of Yaroslavl is one of the oldest and most well-known on the Golden Ring. Despite it also being one of the largest cities, it's definitely foot-friendly, so it's worth picking a hotel with parking in the centre, dropping the car off and continuing on foot. So, what to see first? 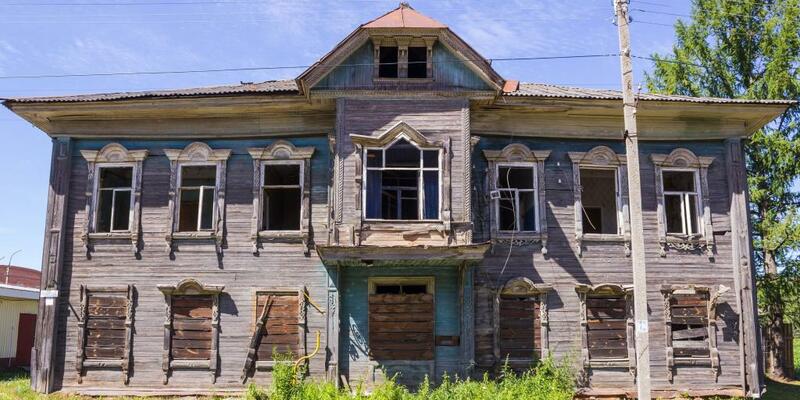 Start with a walk around Yaroslavl's UNESCO World Heritage protected Historical Centre, which is one of the best preserved of old Russian cities and an example of the style of town-planning that was once prevalent across the whole of Russia. Notable for its many houses, churches and cathedrals dating from the 16th to the 18th centuries, among the highlights are the red-bricked Church of the Epiphany and the Spassky monastery. Even if you're a little church-jaded by now, take time to step inside the Church of Elijah the Prophet, which was built in the mid 1650s; from the outside it looks pretty plain, but from the inside it's anything but. Spend a few hours exploring the area then stop for a bite to eat - whether you fancy coffee and a pastry, a pizza or a big bowl of borscht, you should be able to find it in Yaroslavl. If you're an art buff - or you simply enjoy pretending that you're a character from a Jane Austen novel - then don't miss the Yaroslavl Art Museum. 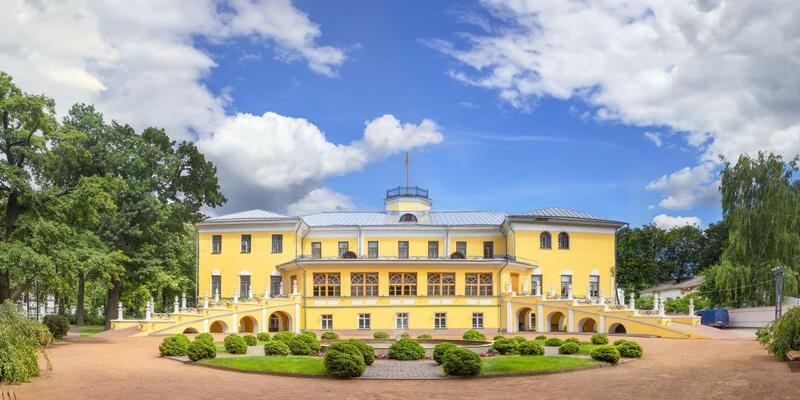 Housed in a sprawling yellow mansion that was formerly the official residence of successive Yaroslavl governors, it displays portraits of Russian nobility, as well as paintings of countryside life and religious art. What really sets this museum apart from your run-of-the-mill gallery is the efforts to bring the lives of Russia's elite to life, which include the museum's staff being dressed in traditional period costumes, with dance performances taking place throughout the day. Far from tacky, it's all surprisingly enjoyable. If you're visiting in the summer, don't miss the perfectly-manicured landscaped gardens. If you're on a Golden Ring road trip with kids then you'll probably have played every car game in the book by the time you get to Yaroslavl (although here are a few you might not have heard of). To give the little ones a welcome break from all the time spent cooped up and zipping between cathedrals, pay a visit to the Einstein Entertaining Science Museum, a play-and-learn style museum full of gadgets and optical illusions. It's really aimed at under 10s, but to be honest even the biggest of kids (by which we absolutely mean the parents) seem to be having fun. 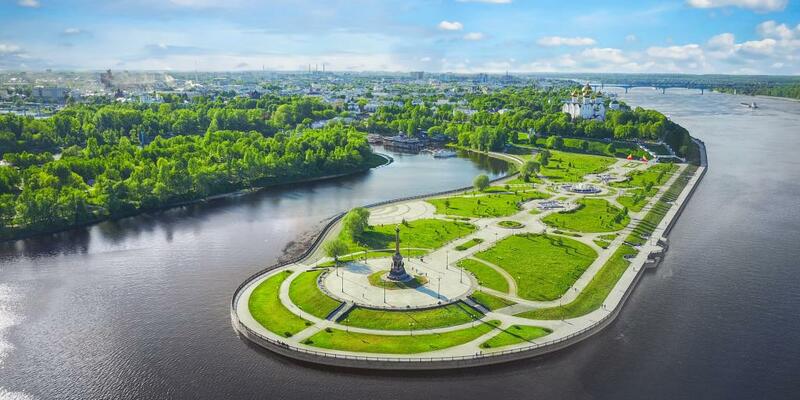 End the day with a stroll around the fountains at Strelka Park, which was built to celebrate the 1000th anniversary of the founding of the city and is perched at the point where the waters of the Kotorosl and the Volga rivers meet. On summer evenings, crowds gather to watch as colourful light shows illuminate the fountains; in the winter they're switched off, because who really wants frostbite anyway. Although yesterday's drive may have been a simple A-B, there are two stops scheduled on today's journey, with each of the three sections clocking in at approximately 90 minutes. First things first though, the important bit: today's driving snack, for which we'd suggest crab flavour Lays. We know they sound questionable, but you need them in your life. Top tip: If you haven't been doing so already on this road trip, keep an eye open for the array of random items being sold on the side of rural roads as you travel - there's everything from banya branches to children's toys. The first stop of today is the historic city of Kostroma. Much like the other towns on this Golden Ring itinerary, its main attractions are a selection of old buildings so unless you're hoping to visit them all, you shouldn't need much more than a couple of hours here. 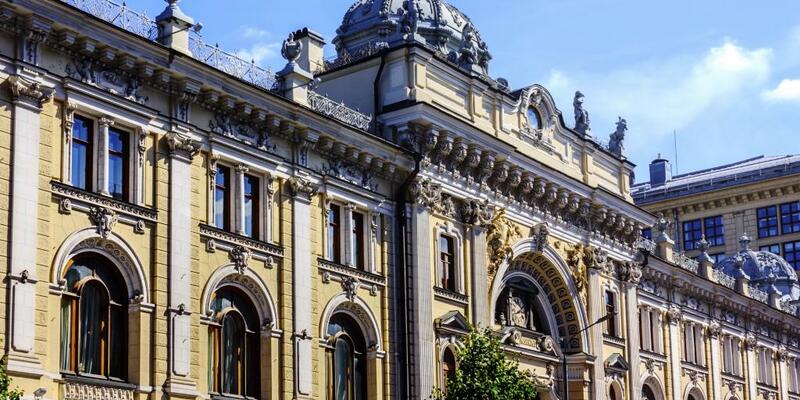 For an insight into the city's bustling past, you just need to take a glance around its enormous centre square, Susaninskaya Ploshchad, which boasts trading arches, an elegant palace-turned-courthouse, a small former Guardhouse, and a prominent UNESCO-protected Fire Tower. 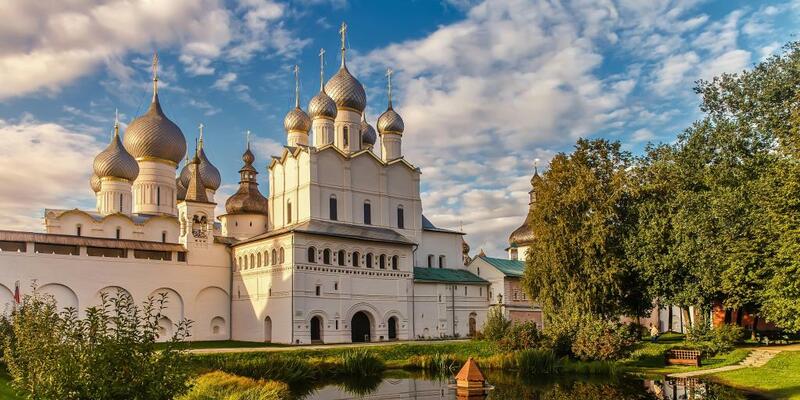 If you did want to stay a few more hours in Kostroma before getting back on the road there are plenty of things to do, including paying a visit to the stunning Ipatiev Monastery, which was used as a sanctuary by the Romanov family before their ascent to the throne. Just around the corner you'll also find the Museum of Wooden Architecture, which offers a glimpse into rural peasant life. Back in town there's also a whole museum dedicated to cheese - yes, there are samples available, but there's not a lot of information in English. Between its grey buildings, dusty roads and blocky Soviet-era architecture, no one can deny that Ivanovo isn't exactly the prettiest of Russian cities. Once known as the 'city of brides' due the huge influx of female workers that occurred during its time as the country's textile capital, with its heyday as a thriving hub for industry now long gone it's often written off as somewhere to drive straight through. But truth be told, we think that's actually a little unfair - sure, we didn't stop overnight here, but it's interesting to see a different kind of Russia to everywhere else on the trail so far. Stop for a coffee and a snack, and take a walk around. 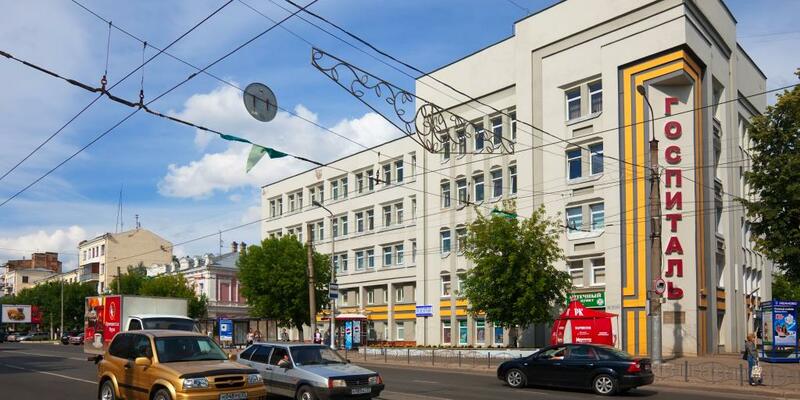 Not only a hub for the textile trade, Ivanovo was once at the heart of the USSR's automobile industry. If you missed Myshkin's museum dedicated to Soviet cars, don't sweat it, because the Museum of Soviet Car Industry in Ivanovo is actually probably the better of the two. As well as showcasing impeccably restored vehicles including the Volga, Seagul, Gazo and ZIL, there are also examples of vehicles used by the police and by the managers of collective farms. There's even a Volga KGB, which was used to spy on suspected enemy agents. If you could purposely create the anti-Ivanovo, then the countryside city of Suzdal, fewer than 50 miles away, would be it. With green open spaces, quaint wooden houses, tree-lined streets and battered tractors slowing down the traffic, it's altogether more relaxed and the perfect place to take some 'me time'. Having made an early start you'll probably arrive here in the early afternoon, leaving you with plenty of time to explore the area in any way you choose, whether that means doing a spot of shopping, taking a walk by the river or discovering the historical centre of the town. There are also multiple places to hire bikes in the town, so if you feel like swapping one form of transport for another and venturing out into the countryside then that's always an option too. Thanks to its status as an integral part of the Golden Ring route, Suzdal is blessed with a varied and large selection of good quality restaurants. Take your pick and enjoy a dinner as leisurely as your afternoon has been! It's the final day of the trip and time to head back to Moscow, but that doesn't mean there's not time to fit in a trip to the city of Vladimir en-route. 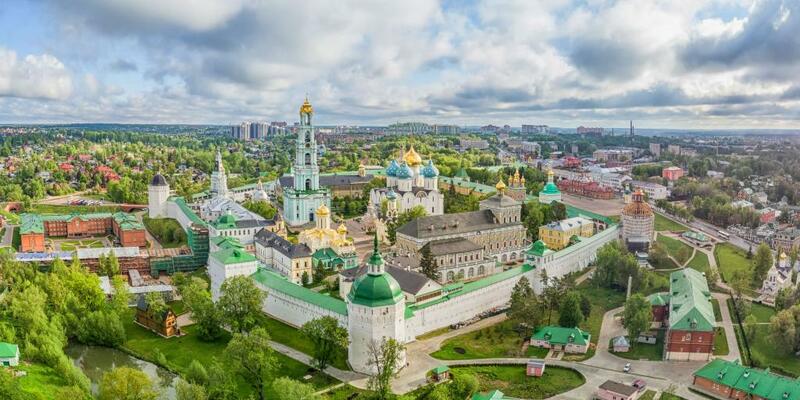 Despite being relatively large, older than Moscow and of huge historical importance, Vladimir seems to slip under the radar of many visitors to Russia. However, as a stop on the Golden Ring it's one that shouldn't be missed - in fact, if you've got the time to spare then definitely spend a night here. Aside from a few spruce-ups here and there, some the buildings being re-purposed and the addition of a few mod-cons like traffic lights, the city's central area has remained much the same as it was 100 years ago. With a number of churches based within walking distance of each other, and ornate pastel buildings and traditional red brick ones lining wide streets, it's a lovely place to take an afternoon stroll or just grab a drink. 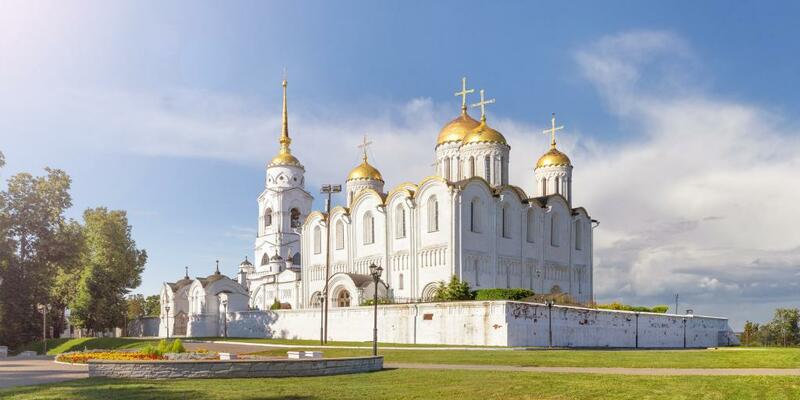 The main draw of Vladimir is a group of white stone cathedrals dating back almost 1000 years, and comprising of the Holy Dormition, the Cathedral of Saint Demetrius and the Golden Gates Cathedral Museum. If you're short on time, it's the richly decorated Holy Dormition Cathedral - sometimes referred to as the Assumption Cathedral - that's the real standout of the three. Sitting proudly on a hill with its circular turrets and gold domes looming over the city, it's a very literal and fitting end to the Golden Ring road trip. Those interested in fitting one more quirky museum into the trip will be glad to know that Vladimir has its very own Spoon Museum - yes, just spoons. Alternatively, you could try your hand at making a nail at Borodins' Blacksmith Shop, which is actually surprisingly fun. If neither of those take your fancy, there's also a Gingerbread Museum. 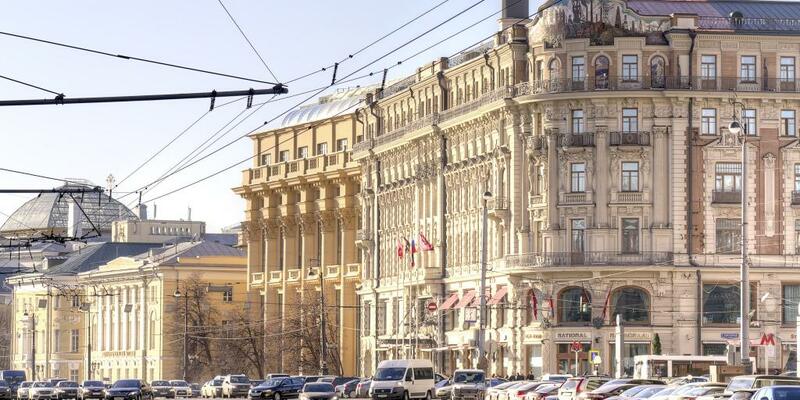 Once you've made it back to Moscow, celebrate successfully completing your Golden Ring road trip with a memorable dinner at Grand Cafe Dr Zhivago, a restaurant located inside the famous and historic Hotel Nacional. Oozing elegance, devilishly fashionable and with spectacular views over the Kremlin, it's reportedly the go-to hotspot for government officials looking to impress. More importantly though, the food - mostly traditional Russian plates - is amazing and the prices so reasonable that it's almost confusing. In particular, the caviar blini comes highly recommended, as do the duck dumplings! Note: You'll need to make your reservations at least a week in advance, further ahead if possible, and you won't be able to wear your trainers and comfy pants. Don't worry, you can change into them once you get to the airport.